Bunjil Place is an example of a new form of community and civic building. It is not a single use or single facility that tends to divide and separate a community by interest, education or culture, but an inclusive hybrid form of public building, reflecting and embracing our diversity. It is a library, a performance theatre, a public gathering space, a place of exhibition, gallery and display, a flexible and experimental space for events, lectures, debate and celebration. It is a help point, a service centre and a place of work and collaboration. 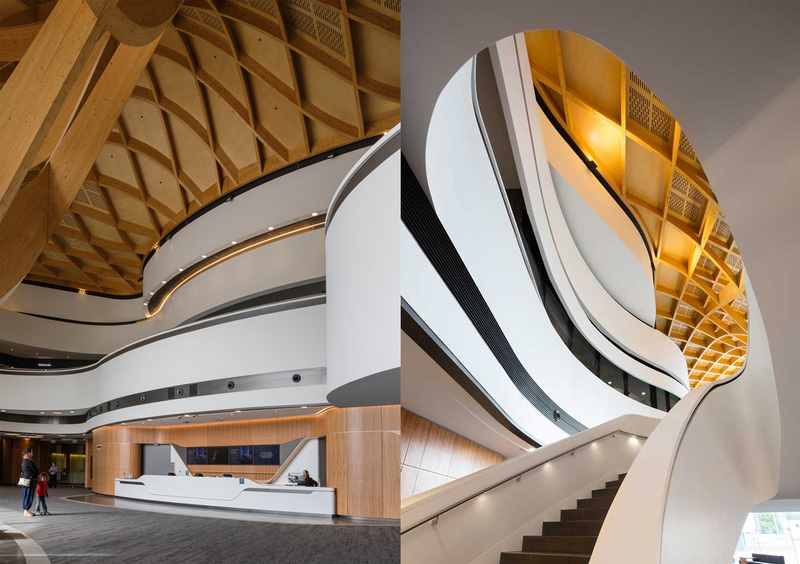 Above all perhaps, it is a place where all of this overlaps and interconnects and at the centre is the interconnecting fluid form of the foyer gathering space, a nonhierarchical space that unifies the complex. We looked at the land, history and nature. A central theme was the interpretation of the land in the culture of Wurundjeri, Bunurong and Boon Wurrung people, the traditional owners and inhabitants of this land. Two stories inspired us: the 'The Meeting of Many Paths' and 'Bunjil' the Eagle. We began to conceive this project as an extended public ground plane and a broad sheltering roof, below which we could gather the hybrid uses of library, theatre, exhibition and also gathering itself. The architecture began to form around the idea of an organic meeting of many paths, literal pathways but also paths of life. This gathering, to take place under the protective and sheltering wings of a great roof. The hybrid uses and gathering are sheltered under an iconic soaring roof. Like Bunjil’s wings, this sinuous element symbolises not only the traditions of the past, but provides a contemporary vision of the future, movement, technology and innovation. 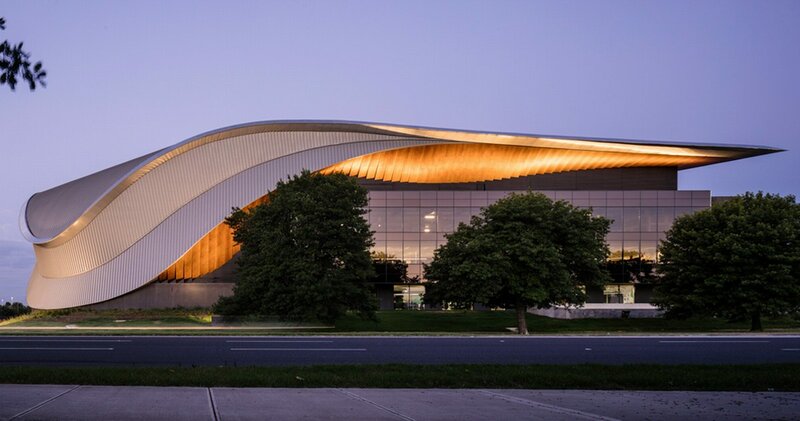 The emblematic roof provides a sheltered central civic space protected from the noise and pollution of the highway to create a welcoming celebration and back-drop for community life, gathering, external performance and interaction. The form of the roof wings protect and shelter the community, and also give identity and unity to the diverse cultural and civic purposes. 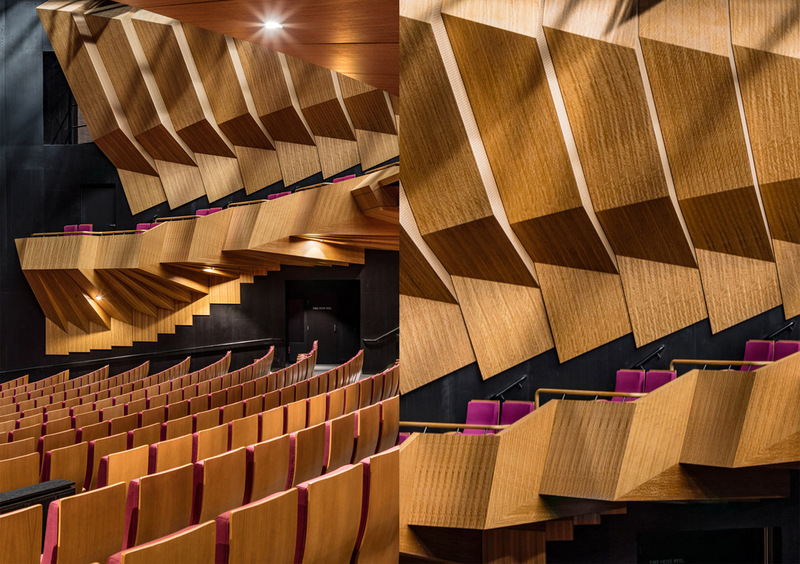 Between the ground and roof planes the various spaces and volumes are shaped and defined through a series of white and timber ribbons accentuating the flow and interconnected nature of the ensemble. 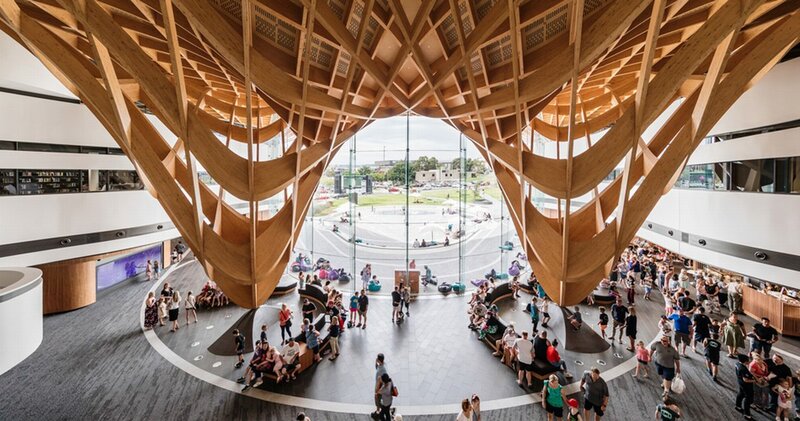 Supporting the dynamic roof forms and connecting them at two central points is a woven structure of laminated natural timber. This is a concept of support and connection at the very heart of Bunjil Place. A warm and innovative grid-shell structure that emphasises the lightness of the roof through a fluid, organic geometry. 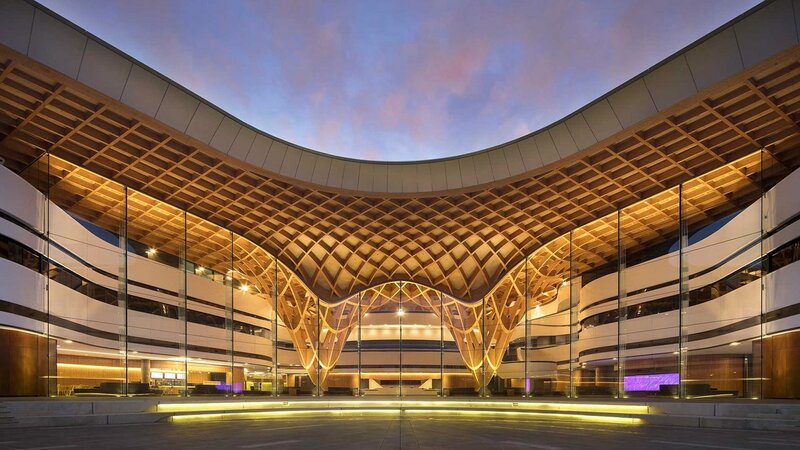 The form of this timber structure reinforces the openness and welcoming nature of the complex in the way it reaches out to the public open space and lifts up to create a powerful sense of invitation. 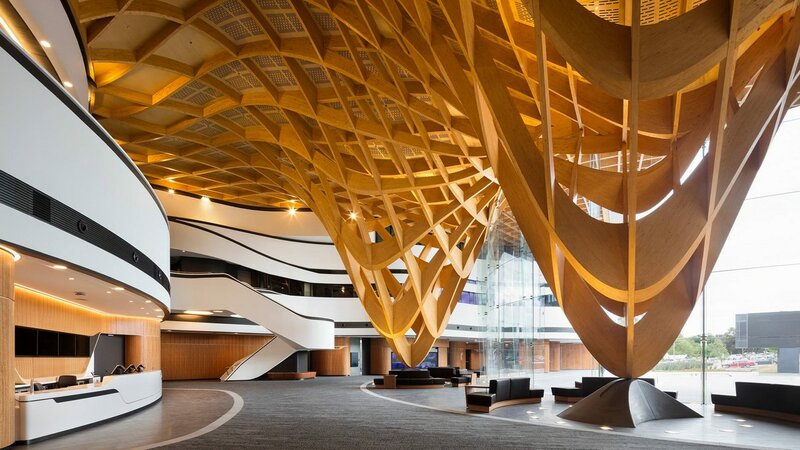 The realisation of these fluid, interlocking shells of laminated timber was a technological and construction challenge utilising advanced computer generated design production and assembly techniques. This is an architecture drawing together advanced systems with the most traditional and essential systems. It is an architecture that embraces new technology and innovation to express eternal and timeless themes true to the unique nature of this place.